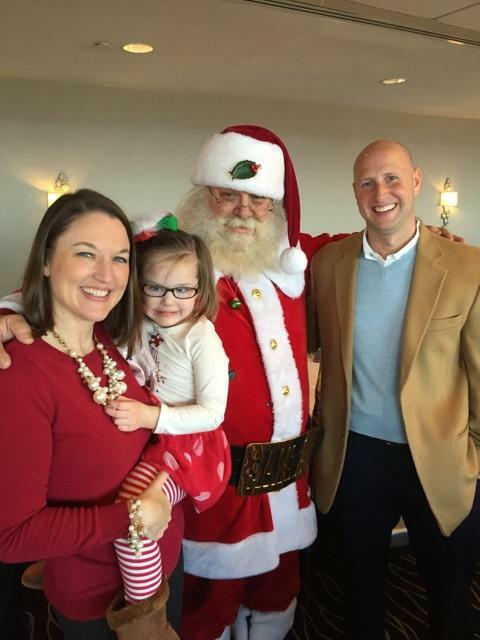 My club hosts an annual Brunch with Santa that I was lucky enough to attend with my little family the last two years of Kate’s time here with us. 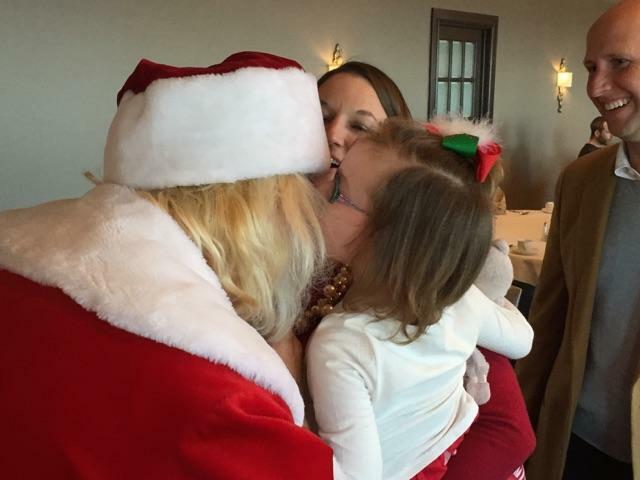 The last Christmas she spent with us was remarkably special in so many ways, but the Brunch with Santa that year topped the list. Kate wouldn’t ever sit on Santa’s lap, but she always wrote her letter very carefully. In 2015, while she refused to sit, she jumped into his arms and the pictures show the joy of the moment. With the help of my dear friend Courtney (the event planner that year and the person who booked Santa) I was able to find his email address. Today, I sent him a letter. You really never know when the little things become the big things. Good morning, Santa George! I know this note will come at a very busy time of year for you and your elves, but I hope it will also come at a time when maybe it’s a great idea to tell people how they made you feel. That’s what this note is all about today. You see, these photos attached are of you holding my little girl, Kate. 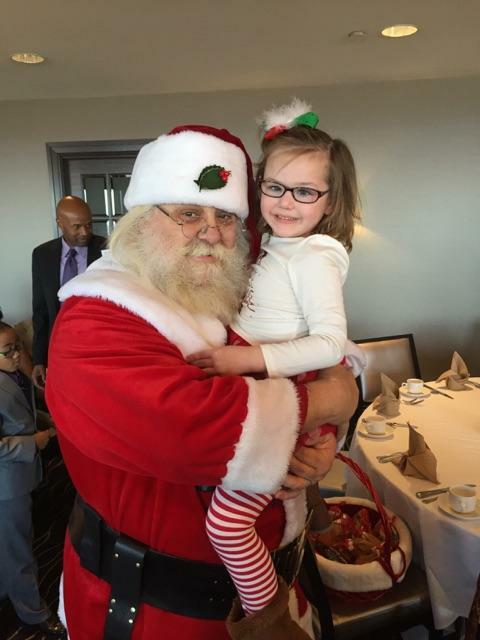 These were taken at the Tower Club in Tysons Corner back in December of 2015. My daughter had just turned four & a half years old and was itching with excitement to meet you, though she was a little timid to do so. We were all BEYOND blown away that not only did she leap into your arms, but she also kissed you on the cheek and shared her letter with you! What you might not know about my daughter Kate is that she would be gone from this earth only four weeks after these photos were taken. You might not know that when these photos was taken, the cancer that she just spent two years fighting had come back. How could you know…WE didn’t know then either. What I DO want you to know is how permanently etched in my heart these photos are and will ALWAYS be. They are some of the last memories we have of our daughter before her relapsed leukemia came back and took her life right out from under us in January. I want you to know that I cherish this day, these memories and the JOY you brought to my girl. I want to say thank you from the bottom of my heart and I want to wish you a very Merry Christmas. What wonderful and cherished moments to remember. Kate is beside herself right now as she watches people spreading cheer through the 12 Days of Kateness that is going on this year. Your grief and then your dedication to the Cause will bring hope and then joy to many children who will benefit from the research that a Kate’s Cause and other ventures are funding. You and Michael are my heroes.